Here at Esri we talk with our customers on a regular basis, and one of the things we’ve learned is how many ArcGIS power users also use Tableau for business intelligence, slicing and dicing data, and visualizing patterns. We think that’s great! 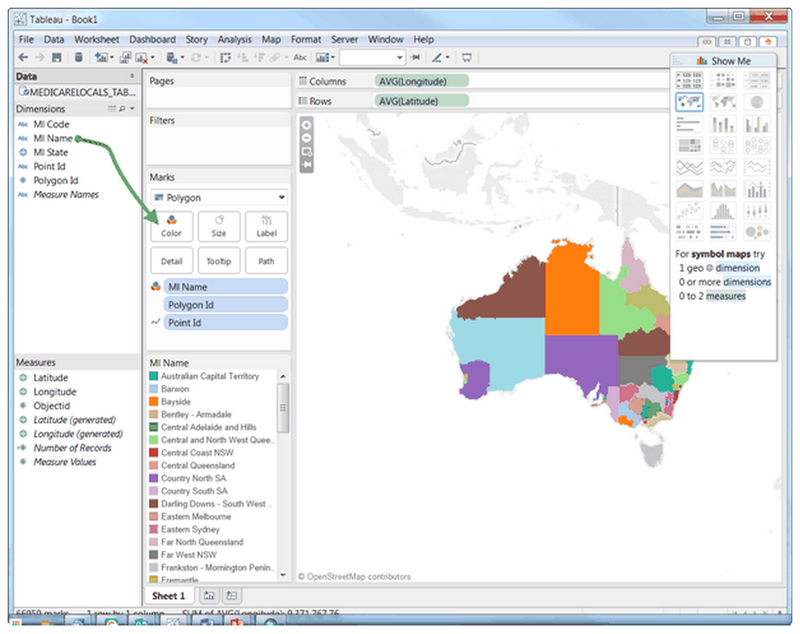 Tableau and ArcGIS are complementary for many kinds of analysis. In Tableau, one of the data visualizations you can make is a map. The product ships with pre-defined spatial datasets so you can associate data with common administrative boundaries (zip code, county, state), or place names. There’s also a background map based on OpenStreetMap data. The resulting combination of background map and single symbol or filled map layer can be used in Tableau Dashboards and Stories. “How can I use the authoritative spatial data I manage in ArcGIS in Tableau?” For example, police districts or sales territories. We wanted to give you some ideas for leveraging ArcGIS content in Tableau. 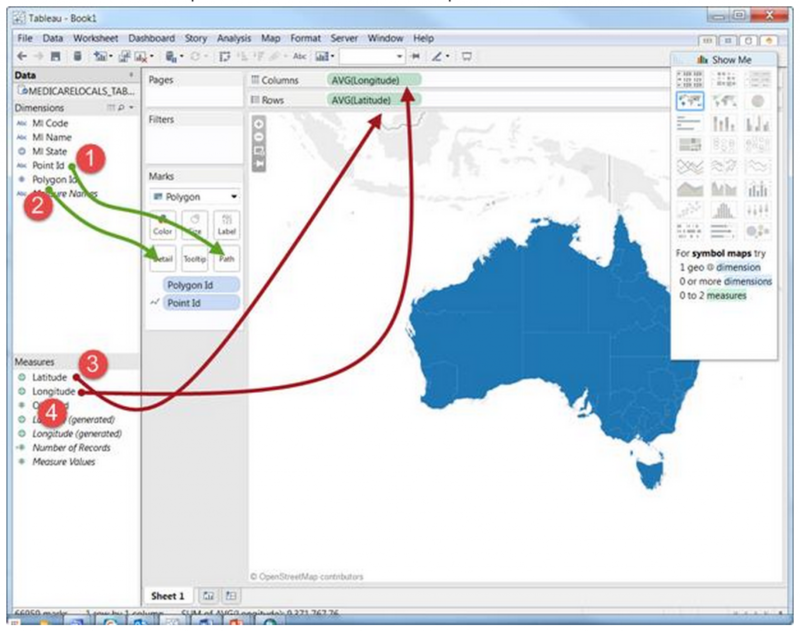 Our own Josh Venman from Esri Australia and Suzanne Foss created a tutorial for how to use ArcGIS and Tableau more together. It covers how to import features from geodatabases, bring in tiled map services and get multiple layers into a background map in Tableau. Without further ado, check it out below or here. We hope this helps you! If you have any questions or feedback on this, please leave a comment below. The recommended workflow to use ArcGIS maps as the background map in Tableau is to publish ArcGIS base data and optionally, overlays of interest to ArcGIS Server with WMS enabled. The recommended workflow to use ArcGIS tiled map as a background map in Tableau is simply to add it in Tableau. An ArcGIS tiled map could be (1) a tiled service coming directly from your own ArcGIS Server, or (3) a tiled service hosted in your ArcGIS Online organization subscription. 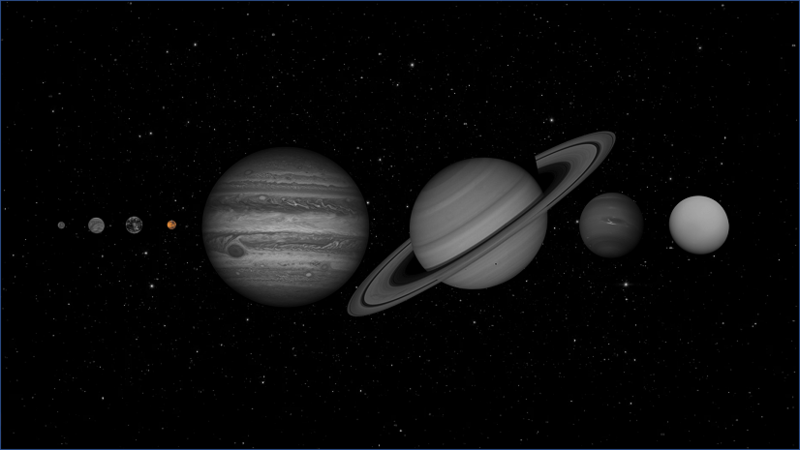 Additional parameters that can be included to control the appearance of the background map are documented in a Tableau Knowledge Base article. The recommended workflow to use ArcGIS data as a marker layer in Tableau is to transform ArcGIS features into a Tableau-supported format. A geoprocessing model wraps all the steps required to transform an ArcGIS polygon feature class into a Tableau-ready table in to the same database as the original feature class’s parent geodatabase. This model can be run through Python on a scheduled basis to keep the Tableau-ready data in sync. In the example above the end result is a non-spatial table in a SQL Server Database. 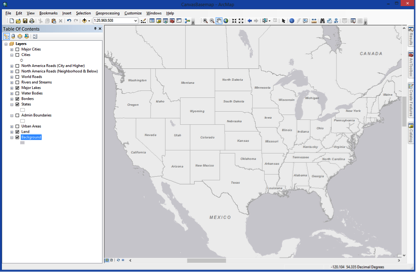 However, Tableau can connect to any of the databases that ArcGIS supports for enterprise geodatabases. That is all that is required to draw the basic map. e. At this point, any measure can be dropped on to the Color area to render the map based on that value. f. In the example below, the data is a set of Medicare Local boundaries in Australia. Medicare Local Name has been dragged from the Dimensions area on to the Color area. g. Once created this map sheet is no different from one created using Tableau’s built-in mapping and it can be used in Tableau Dashboard and Story sheets. Have a question or feedback? Please comment below.